To celebrate the 500th anniversary of the birth of our Holy Father St Philip, Fr Jerome has written a new book. 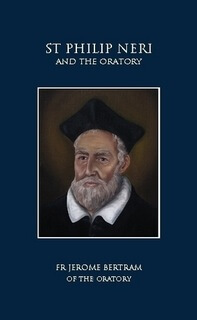 It contains a brief and accessible biography of St Philip, and a description of the works and purpose of the Oratory. It would serve as an excellent introduction to St Philip for those who have only recently discovered the Oratory, and a refresher for those who have already read one of the longer biographies! It is available to buy from Lulu and in the Porter's Lodge. Our other books can be seen in the Publications section of the website.